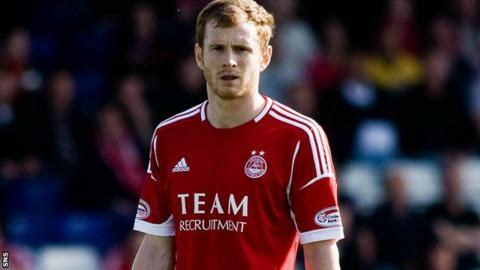 Aberdeen have signed Mark Reynolds on a four-and-a-half year contract after the defender left Sheffield Wednesday. A statement on the Championship club's website confirmed Reynolds had departed by mutual consent. The 25-year-old had been loan at Pittodrie and has made 27 appearances for the Dons this season. Reynolds moved to Sheffield Wednesday from Motherwell for around £100,000 in January 2011 and first joined Aberdeen on loan last season. "After a spell of uncertainty, it's great to get my future sorted out and know that I'm going to be in the north east for the foreseeable future," Reynolds told Aberdeen's official website. "My family settled in Aberdeen very quickly and we really like the area. "It's up to me to repay the faith the club has shown in me and I do believe we have a squad capable of bringing success to Aberdeen."